Newly appointed sheriff Pat Garrett is pleased when his old friend Doc Holliday arrives in Lincoln, New Mexico on the stage. Doc is trailing his stolen horse, and it is discovered in the possession of Billy the Kid. In a surprising turnaround, Billy and Doc become friends. This causes the friendship between Doc and Pat to cool. The odd relationship between Doc and Billy grows stranger when Doc hides Billy at his girl, Rio's, place after Billy is shot. 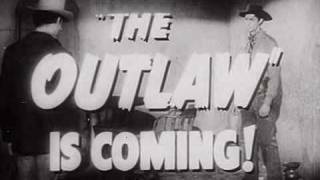 We try to add new providers constantly but we couldn't find an offer for "The Outlaw" online. Please come back again soon to check if there's something new.